We do appreciate your support. We want to share fonts created by Pollem_Studio for free for personal use. Thus, your donation will help us to live to create more fonts. Donation can be made via Pollem_Studio Paypal account [pollemstudio@gmail.com]. Copyright (c) 2018 by polem. All rights reserved. 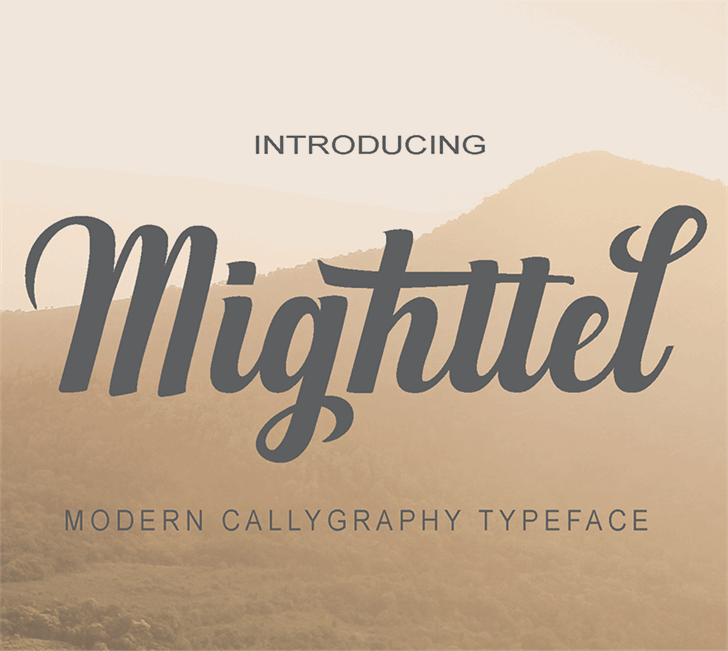 Mighttel is a trademark of polem.